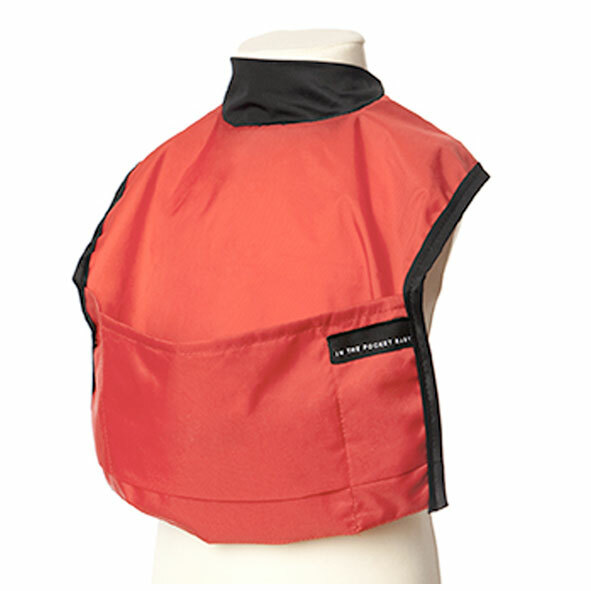 Soft and comfortable around the neck, the collar effectively keeps food mess off the baby’s shirt and a generous gaping pocket catches falling food and drink spills. When babies learn to feed themselves, it seems like food can end up in the unlikeliest places, so we made a bib with sleeves, too. The Velcro gate at the wrist keeps your baby’s clothes neat and clean. When out and about, turn the integrated clean-up pocket inside out over the soiled bib to protect the nursery bag from mess. 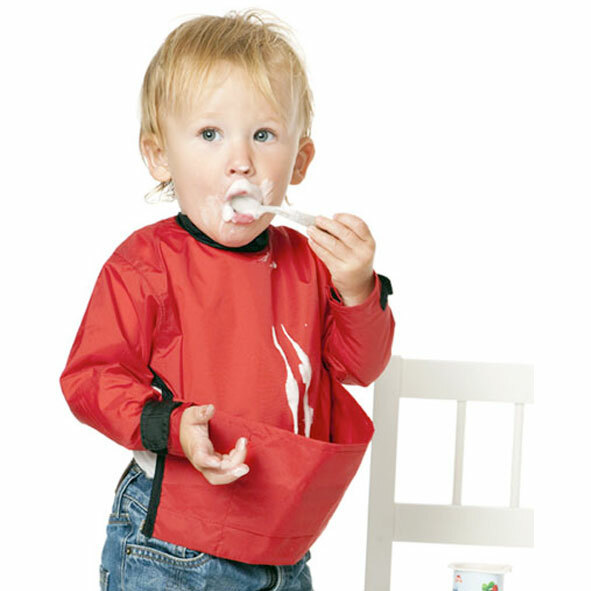 The bibs from IN THE POCKET BABY® are carefully designed down to the last detail and made of an easy-clean quick drying fabric. 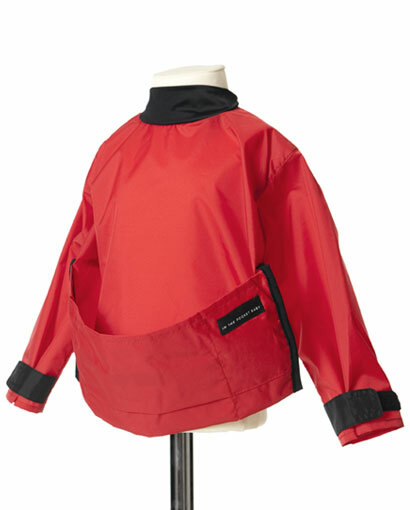 One size: 6 – 24 months. 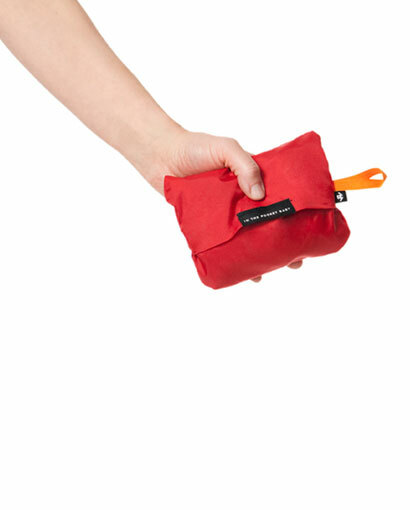 On the front of the collecting pocket there is a disposal pocket. 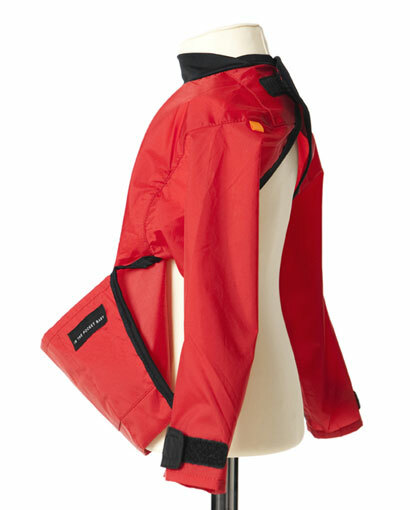 Turn it inside out over the bib with sleeves. 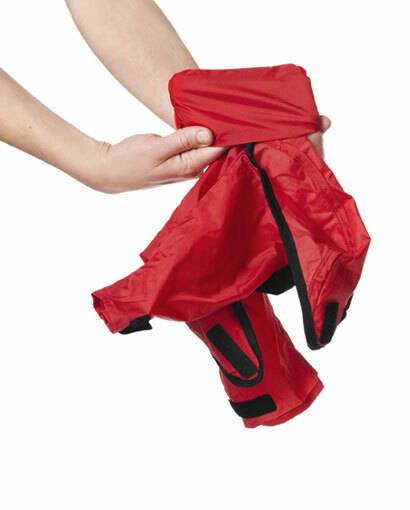 Smear-free storage of the bib with sleeves until you rinse it in water or wash it in the machine at 30°C.